great textures and lighting. i like it! This works beautifully in black and white. The textures are so cool and the lighting very pretty. Beautiful light and texture. Yes, today was the first time I've felt pressured to post since February. I don't know how I did it for a whole year! fave fave fave, love this... thanks for getting ONS6 going! Fav instantly. Yours is a gorgeous image. Great lighting, texture, shape. Pretty! Thanks fir bringing back the ONS! This is so beautiful, like petrified butterflies. Looks perfect for me - stop whining ;)! And I do love gingkos! Wonderful soft tones. Great looking leaves, most unusual shape! Love the light through these gorgeous ginkgo shapes - works well in B&W. Gorgeous, Jerry. So soft and neat. FAV! Oh, I love a Ginko! My night is looking very bleak! Rain in store. May have to switch with Thursday when I'm downtown, but I'm holding out hope that 30 minutes will be clear TONIGHT. Risking it all for the ONS. We'll see. 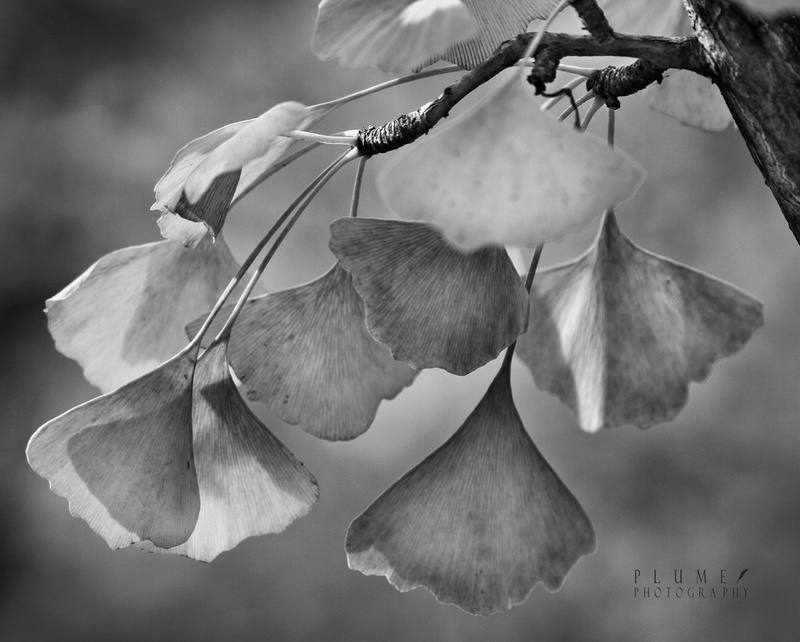 Love the ginko in b&w. Fav! I love everything about this - light, shapes, focus. Beautiful b/w- such delicate petals and the b/w really accentuates that attribute. very beautiful in black and white!! This is very pretty Jerry. As for this - I love it - great b&w tones and so ethereal looking. Beautiful b and w, such great detail in the petals. Beautiful black and white! Thanks for Ons6 last week, it really was needed!